Lipstains are definitely gaining more attention these days and for good reason! Who wouldn't want all day lip color that lasts through eating and drinking?! But of course lipstains aren't perfect. Sometimes lipstains can dry out lips or might not have quite the right colors yet. Lipstains are still fairly new and are getting improvements with each new product release. So why should you give a lipstain a try if you are a dedicated lipstick user? 1. Lipstains last longer than lipstick. Of course this had to be #1! You probably are reading and going "no duh!" but seriously most lipstains last through eating and drinking and that's a huge plus. Some even last all day. No need to reapply several times a day or worry that you no longer have any color on your lips after taking a sip of water! 2. Lipstains don't bleed into the little lines around your lips. Lipsticks can bleed into those little tiny lines and make you look aged. Who wants that?! 3. No need to worry about your lip color staying on your lips and off your teeth throughout the day. Once a lipstain is on your lips, it's on your lips. It's not going to rub on your teeth when you smile. 4. 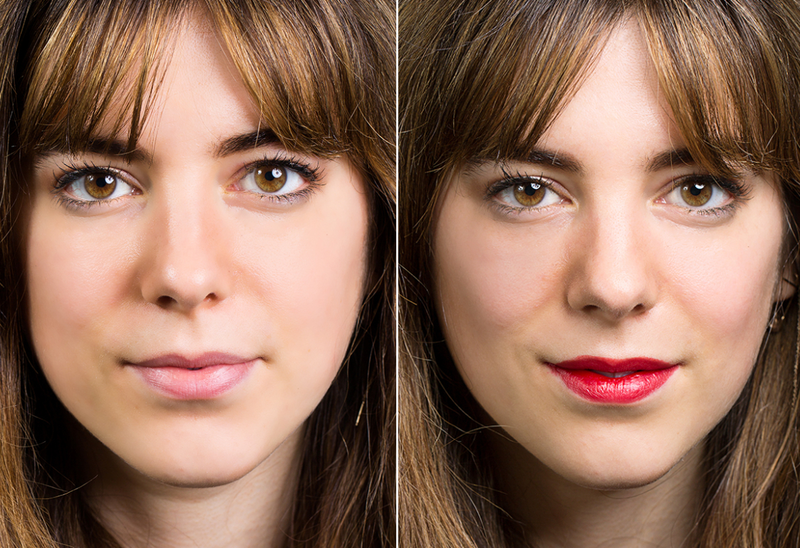 Using a lipstain can cost less than using a lipstick. I mean just think about. Lipstick you at least have to reapply after every meal and every drink so you are reapplying several times a day. A lipstain you just put on once a day. So if your lipstain costs the same as your lipstick, you are going to be using a lot less lipstain and your lipstain will last a lot longer than your lipstick tube! 5. Hair does not get stuck to a lipstain. I hate how lip gloss always makes my lips so sticky that I always get some hair stuck in it. Generally this happens less with a lipstick but with a lipstain you don't even have to worry about that! Once a lipstain is on, it is generally dry to the touch and doesn't even stick to your finger. 6. Lipstains enhance the natural color of your lips. So you can wear one color of lipstain all day at work and then jazz it up with a gloss or lip liner for a night out. There are a lot of pluses to using a lipstain however, it does take some practice when you first try one to get the application down. Once you start applying a lipstain, it will start to dry and it can sometimes be hard to go back and fix a mistake if you accidentally go outside the lines of your lip. The good news though is since it is a stain, you only have to worry about this once a day and you can always use an oil based make up remover to take care of those little areas. Proper lip care is important with either a lipstain or a lipstick because chapped or flaky lips really just don't look great and look even worse when you apply color. However, it is more important to make sure you have your lip care routine down when using a lipstain because a lipstain is harsher on dry lips and can sometimes dry them out even more. Ouch! So make sure you are exfoliating your lips several times a week and moisturizing them often as well.